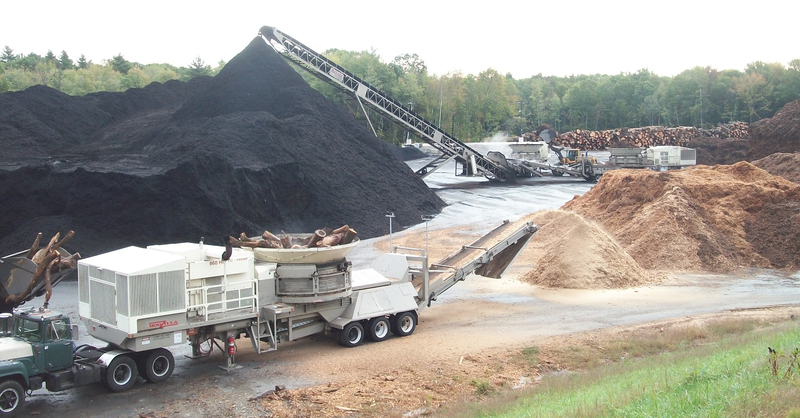 CW Mill Equipment’s HogZilla Tub Grinders are MONSTER grinders for solid waste reduction, wood recycling, land clearing, construction demolition, mulch production, tire processing, or any other tough grinding application. Whether you are new to the industry or looking to add a grinder to your existing grinding equipment, forestry equipment, or waste management equipment, there is a HogZilla Tub Grinder for you. Get ready to start grinding, chipping, shredding, and generating profits for you and your company with a HogZilla MONSTER Tub Grinder! TCII-1564P: All TC models are built to be the world’s most reliable high capacity tub grinders. All TC models use a Torque Converter to drive the hammermill, which multiplies engine torque for maximum production. Our TCII-1564P models also feature patent adjustable hammermill swing capabilities. Several options are available. HTC-1462P: HC Series grinders are built to be the most reliable high capacity grinder in their class. A Hydraulic Coupling or an optional Torque Converter delivers power to the hammermill. The HC Series offers standard features not found in other large machines. Several options are available. WTC-1354P: The WC Series offer BIG machine performance in a medium size package. The features that make HogZilla the preferred grinder for reliability and productivity are included in this smaller but very capable machine. Several options are available. Electric Power Options: As the cost of diesel fuel has increased, electric powered grinders have become the grinder of choice for an increasing number of grinding professionals, with increased efficiency, reduced maintenance, massive construction and simplicity, a HogZilla Electric Grinder will provide significant savings! Several options are available. Track-Mounted HogZilla Tub Grinder Options: HogZilla Track Options have become extremely popular and are unparalleled in production and mobility. Several options available. HogZilla Mounted Loader Options: In applications where a grinder can be moved to the material and little support equipment is available, mounted loaders are a wonderful addition to a mobile grinding operation. Some of the standard features for HogZilla mounted loaders include high visibility, joystick controls, air conditioning, heat, radio, and window grates. Massive outrigger assemblies stabilize the loader through the grinder’s massive tubular frame rails, and all loaders position easily for economical shipping. Custom Thrown Object Restraint Variations: For confined space applications, customers can choose from a variety of different thrown object restraint devises including their preferred remote controlled, adjustable tub cover variation. CW’s Side-Slide combination Tub Cover & Back Stop Assembly allows the operator to better reduce possible thrown objects through a huge guard that can hydraulically adjust from a high and wide position to a fully enclosed position for clean out. The adjustment is smooth and easy from the control panel or a wireless remote control. Rigid stationary, non-adjusting, and loader maneuvered variations are also available.